This is the best part about having kids. 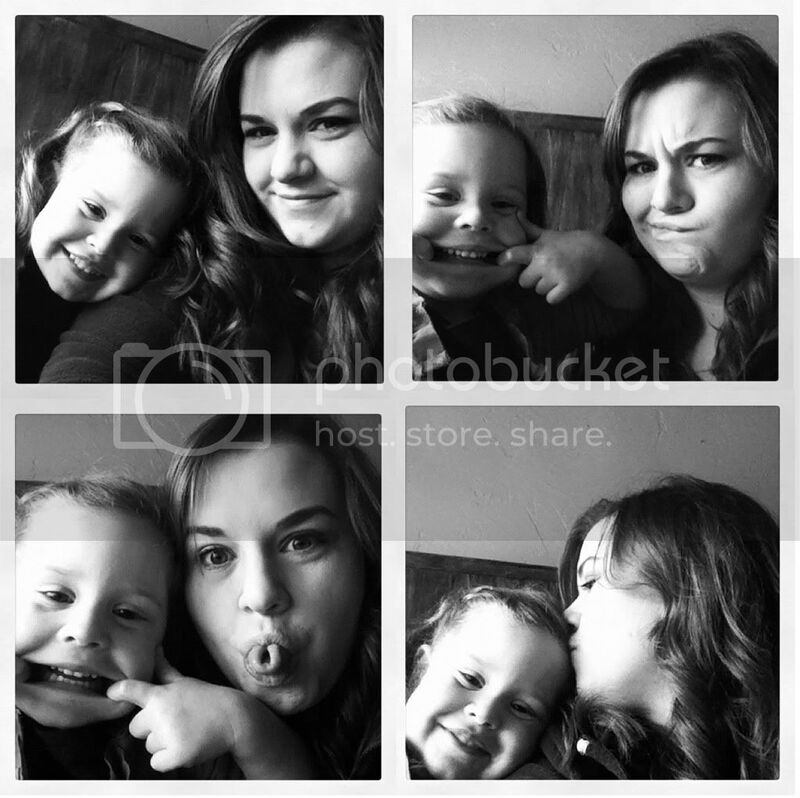 These silly and sweet pictures of me and Zoe at lunch yesterday. I pulled out my phone to take a picture for Project Life and she asked if we could take some silly pictures - and this is what we ended up with. Zoe and I spent the day together bumming around town, our list was long but we got everything done. Including picking up some cinnamon swirl bread from Great Harvest - Yum! After our errands, Zoe took a quick nap and I finished up this project I have been working on. 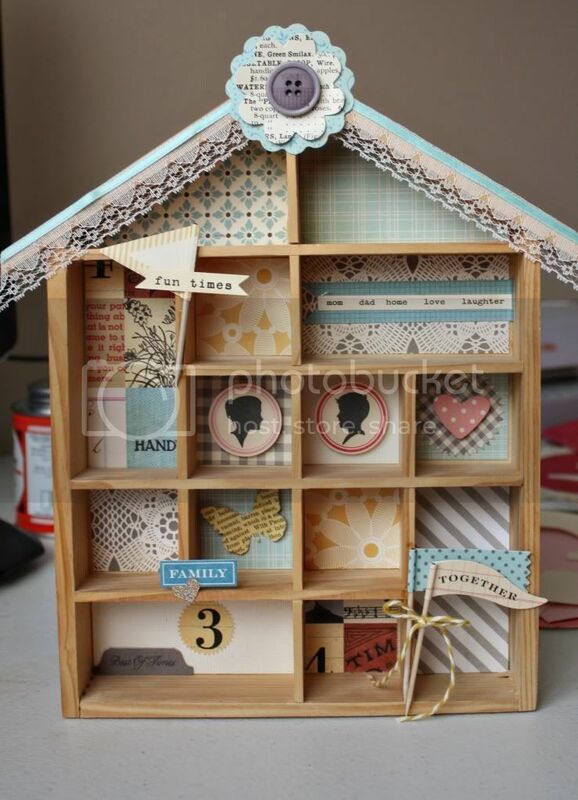 I found this house shadow box at DI for less than a dollar and I have just been waiting to be inspired to use it. I used mostly October Afternoon's Farmhouse line (which I love!) and a few other odds and ends. In the evening, Ryan and I were able to attend the temple for the first time in too long. We even enjoyed a little dinner afterwards. Thanks so much to my friend Noelle for babysitting - Zoe had tons of fun. I was exhausted by the time I got Zoe in bed - busy day, but it was wonderful. I hope you have had a wonderful weekend too. What is your idea of the best day? So cute pics of you and Zoe! I LOVE it!!!! That OA line is perfect for this- the colors and patterns are so pretty! I'm still trying to locate some of those here in NYC- I used to se them but perhaps no one was buying because they are gone now. Will have to go online. Great details in the cubbies- I did a similar project a while ago and it scared me at first but now I love the opportunity to use up my button stash and put it on display.